The Kralingse Bos is a lovely recreation park in Rotterdam. The Kralingse Bos includes a large lake: Kralingse Plas. Several times the Kralingse Bos was nominated as ‘Best Public Space in the Netherlands’. The Kralingse Bos is perfect for sports: running, walking, skating or sailing on the Kralingse Bos lake. In the park there a several trails. You can also play golf at the Openbare Golfbaan Kralingen, situated on the eastern side of the Kralingse Bos. Furthermore, there is a riding school in de park. Also great fun is the Climb Park Fun Forest Rotterdam. Climbing in the forest on six circuits that include rope ladders, wiggle bridges and zip lines! Children from 8 eights years can also climb here. De Kralingse Plas is the perfect excursion with childeren. On the west side of the Kralingse Plas there are facilities for children like grass fields and playgrounds. There is a cable-railway, a chute and off course swings. On the west site there is a small beach and swimming pool that is popular during the summer period. Children will also like the free Kinderboerderij De Kraal. On the northern side of the lake you will find a nice playground and lawn. Around here you’ll find a small deer park. The lake is surrounded by several restaurants that have greats views on the skyline of Rotterdam. 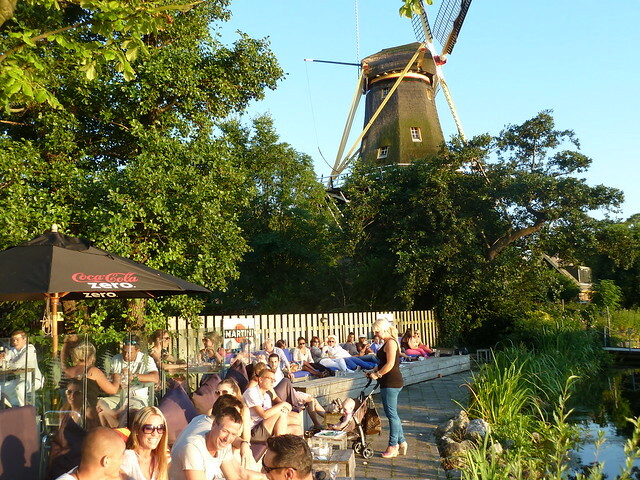 The popular café-restaurant De Tuin is situated between the two monumental mills De Ster and the De Lelie. The restaurants De Schone Lei and the brasserie Taste have nice terraces. In 2016, on the western side of the lake, a new addition is opened: The Harbour Club. 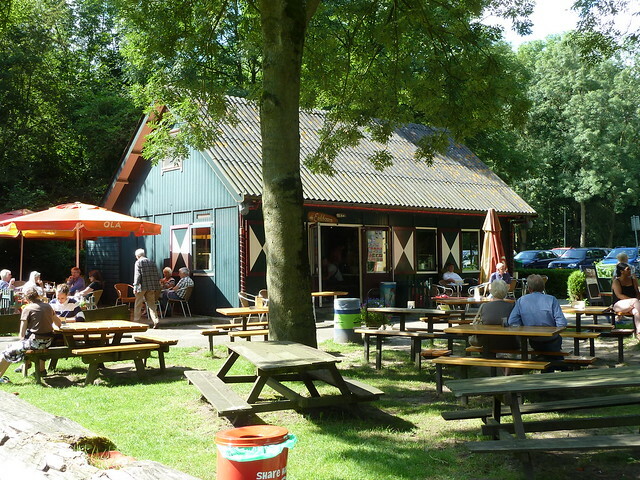 In the Kralingse Bos there also the eatery De Eekhoorn and two pancake restaurants. At De Nachtegaal you can choose from 75 pancakes. Restaurant de Boshut De Big is also specialized in pancakes. Around Kralingse Plas there are grass fields particularly for picnics. Barbecue is allowed at the the grass fields at the pool at the Langepad. On the lake you can navigate, row, sail or even surf. You can also rent a sailing boat at Zeilschool De Lelie where you can also follow sailing courses. Visit at the lake also the two monumental mills De Ster and De Lelie. They are the only active mills concerning spice mills in the Netherlands. The mills De Ster and De Lelie you can visit every second Saturday of the month. They’ll tell you about the production of ‘snuif’ and the grinding of spices. Also on Wednesday and Saturday (in the afternoon) the mills often are open for public. 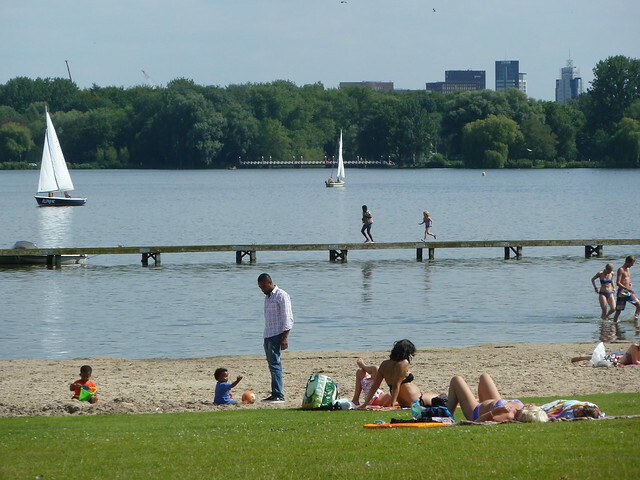 From the eastern and northern sites of the Kralingse Plas you have formidable views on the skyline of Rotterdam. A guided walking tour or a bike tour?